William Morrow Paperbacks, 9780061434778, 320pp. Elite Upper East Side Witches Rule Park Avenue! 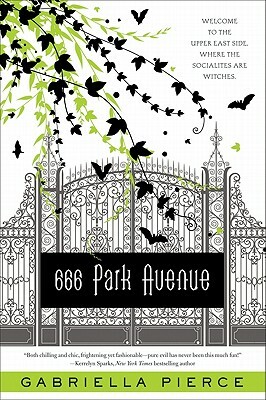 666 Park Avenue by Gabriella Pierce kicks off a wonderfully high concept and richly gothic contemporary series about the darkness lurking behind the gilded halls of New York City high society. For the original Gossip Girl and The Vampire Diaries fan who’s grown up and is ready for an edgier, more sophisticated read, 666 Park Avenue is the perfect paranormal diversion.